I feel like the second book in a trilogy is always the best, so fingers crossed this will be the best blog. After the first week in Ljubljana, my supervisor let me loose. This meant all the hard work and training would be put into action. It began with a fun little exercise, using OpenCASCADE to pixilate 2D cuts of the Tokomak fusion reactor CAD model, to be used in the electromagnetic code EFIT++ used at the Culham Center for Fusion Energy. The images above represent the development of the pixelisation process. The first image provides the original 2D shape, the second image the first stage of pixelisation and finally the refinement stage. The goal is to keep the number of pixels in the shape as small as possible. These processes are controlled by a number of variables that can be set by the user. I’m sure many of you aren’t convinced by the images, they aren’t going to blow you away, maybe if I had set the background to “rainbow desaturated” they could have looked a little cooler, those of you who don’t have any idea what “rainbow desaturated” is, it’s probably a good thing, I myself have spent far too much time analysing the pre-set colour schemes available in Paraview. The work I have been doing above, has been running in parallel with the development of a automated CFD workflow. This “amazing” CFD workflow, uses a project done by Marijo Telenta, as an example test case. This project was the analysis of the geometric factors of wind barriers and how they effected the performance. The first step was to write an OpenCASCADE script to build the wind barriers based of a number of input parameters from the user. The main values where the porosity, height and width of the full barrier and the height, thickness and angle of the individual bars. If at this point you are thinking this guy is a complete wally, and I have no idea what he is talking about, I have attached some images above and below that I hope will clear some things up. 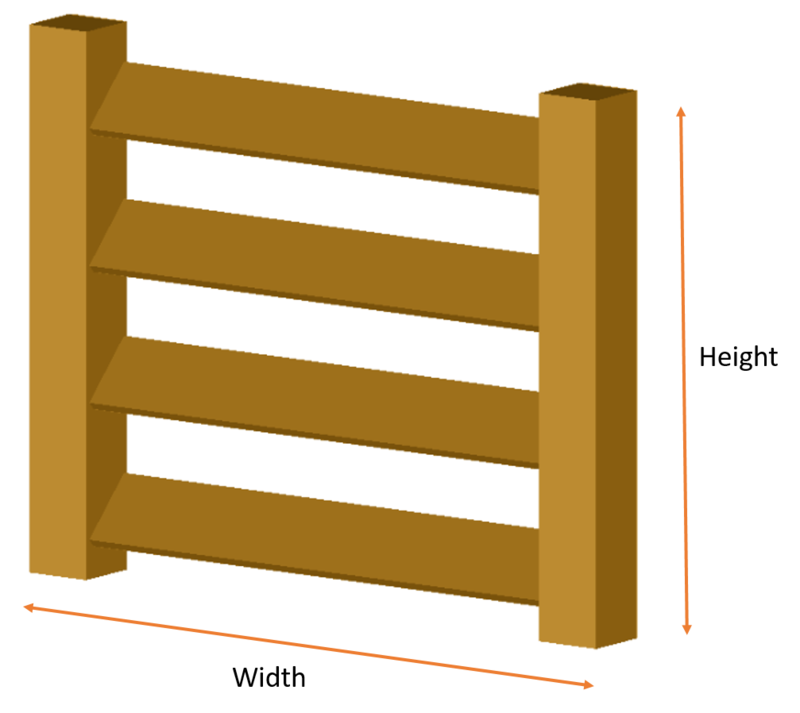 The image above shows the full barrier with the dimensions shown. The porisity is a variable defined by the divison of the free space in the barrier by the total available area, from a front on view. Decription of the geometric features of individual bars for each wind barrier. The image on the left shows a 2D cut of the different wind barrier bar angles and the image on the right provides a more mathematical description. If at this point you are still struggling, I think the best thing you can do is enjoy a nice cold beer and thank your lucky stars this is a blog, and you don’t have to listen to me try and explain it again. These geometric models will then be used in the software OpenFOAM to simulate fluid flow through them. I will provide you with some lovely images of these simulations in the next blog, mainly because I ran my simulations on the login node of the HPC, accidently I must add, so I had to close them down mid run. 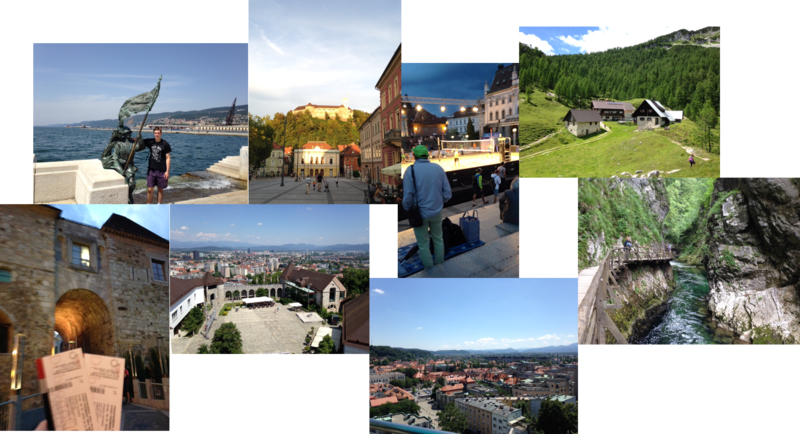 I would just like to mention briefly, that my expectations of Slovenia got completely blown out the water. Mr Lango and I have enjoyed quite the array of experiences since being here from a wonderful drive through the Slovenian mountains, to our first wine tasting and some amazing sights. I have uploaded some images that I think are quite nice and to try and encourage you to forget those “let’s say, less exciting” images you saw at the top. I’m not going to tell you which picture is which, I feel like it’ll be fun to try and match the picture with the description. The first ones tricky, an incredibly handsome man posing with a statue in Trieste. Vintgar Valley (Big River), outdoor movie in the castle, Ljubljana castle x2, volleyball and a lovely hike in the hills. 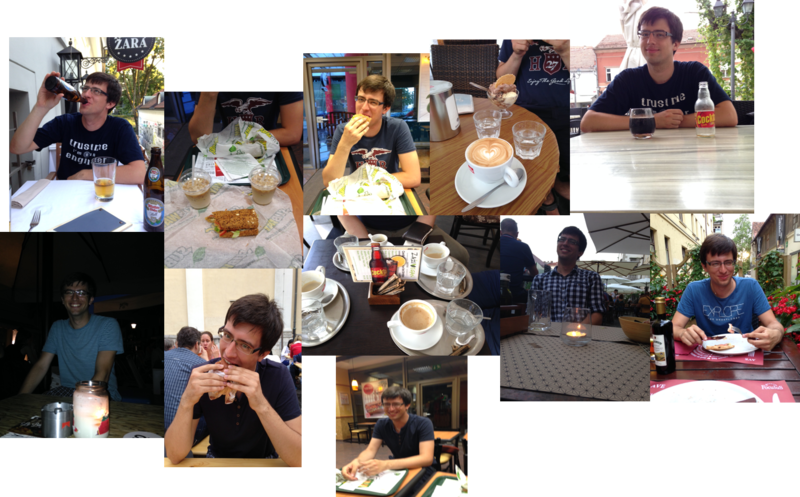 Along with all the activities we undertook, my roommate and I have had plenty of opportunities to sample the food in Ljubljana, and so as promised, I have uploaded a little collage of “Lunch with Lango” or “Meals with Mattie “, really couldn’t decide which one to go for, clearly I have had too much free time.